PRAIA DE SANTA BARBARA, Sao Miguel – Azores Islands (Wednesday, September 12, 2018) – The Azores Airlines World Masters Championship will reignite some of the most iconic battles of surfing’s rich history and put 27 legends of the sport back into the competition jersey next week in Azores. Some of the most successful competitive surfers of all time will momentarily come out of retirement and fight once more for a prestigious surfing World Title. The last time this event ran in 2011 in Rio de Janeiro, Nathan Webster (AUS) and Iain Buchanan (NZL) claimed the coveted titles in the Masters (Over 45) and Grand Masters (Over 55) categories respectively and Buchanan will be back in 2018 to defend his total. The focus this year, however, will be on the newly added women’s category, which features six incredible female surfers including seven-time World Champion Layne Beachley (AUS) and four-time Champion Frieda Zamba (USA) among other athletes. Beachley holds a record seven World Titles and is the only surfer (male or female) to have won six consecutive titles (which she did between 1998 and 2003). Retired from full-time competition in 2009, the regular foot from Manly has an impressive 33 event wins to her name and has since kept her surfing routine and will be tough to beat in the perfect surf of Azores next week. Zamba’s last world title in 1988 came as a young Beachley was just starting her competitive career on the World Championship Tour. The event will see the American return to the competition where she will take on Pam Burridge (AUS), who she fought against for the world crown in the 1980s. In the men’s events, Tom Curren (USA) has the biggest resume in the field, with three World Titles (1985, 1986 and 1990), as well as 41 event, wins over the course of his career between 1982 and 2001. The American icon paved the way for generations of surfers with his signature flow and style. Curren is often seen at events and has even donned a jersey for Heritage Series events in Trestles and J-Bay most recently. He also has experience surfing in the Billabong Azores Pro back in 2010, which could prove be an important factor for a triumphant return to competition. The competition format will see surfers split into groups: three groups of four in the Masters, three groups of three in the Grand Masters and two groups of three surfers in the Women’s Masters. Within each group. Round 1 will see each surfer will match-up in a one-on-one heat against each of the other surfers in their group. The top surfer in each group will advance on to the Semifinals. 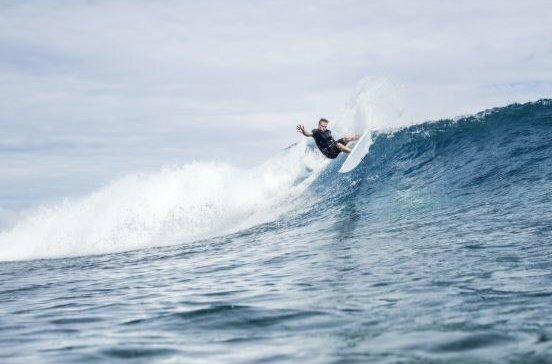 This year the Azores will celebrate 10 years of hosting world-class professional surfing events and organizers wanted to pay tribute to the founders of the sport by putting on the Masters World Championship. During the last decade, the highest level of surfing champions have graced the shores of Sao Miguel and the Atlantic archipelago produced some memorable sessions with flawless conditions. Often compared to Hawaii, the tropical volcanic setup on Sao Miguel offers breathtaking views of the ocean and countless activities, including the highly popular baths in hot springs. The event will be available to watch LIVE via wsl.tv/azores18. The Azores Masters & Grand Masters Pro are organized by DAAZ Eventos with the support of the following event partners: Azores Airlines, Governo Regional dos Acores, Turismo dos Açores, Câmara Municipal da Ribeira Grande, SEAT , MEO, MagicSeaWeed amongst others.